The rapid development of technologies has changed our lives to its best. Human beings have started to look like robots and it's one of the biggest examples of how technology has changed our life positively. In today's world, technology is omnipresent. It is in the air, water, food, education, business, office, electricity, marketing, data storage, communication, cars, parking, travel, food, shopping and banks. Education and learning methods have benefited largely with the booming of technology. It has changed in many ways since the last decade. It was not possible for us to get data, information and knowledge so quickly with great flexibility. The school was very far from home. And that made learning quite uninteresting. But due to change in technologies, there are online schools, raging technologies of smart devices that can keep us connected with the school and the updated information. There are various types of online courses for everyone with different contents. This positive change in education can be visibly seen because of the trading technologies. With the development of evolving technologies, we have also seen quite an evolution in the department of communication. We have mobiles, smartphones, internet, computers and social media, video conferencing tools and apps to communicate with anyone around the world with ease. The advancement of communication by far is the biggest technology turnover which is fast, easy and quickest. Technologies can be a pro for some as well as a con for some. When it comes to applying technologies in our day to day life it can get quite tricky. The craze and disadvantages of taking selfies in the risky area are well known. We do online shopping and there are varieties and price comparison tools. Internet of things is a new technology that can be used in everything we own on a daily basis. Most of the people are busier than being productive. 30 years back, people had time for their friends and family. They used to live there and enjoy their life in real time. Emotions, care for nature and humanity used to be a major deal. Today we do the same things but on social media with emotions that cannot be measured. One of the core reasons to improve the technologies is health care and benefits. A few years back we did not have upgraded technologies for operations and surgeries. But now patients can leave everything on the doctor's for a happy operation tenure. The impact of technology has affected the health care mainly in three areas. Firstly the quality of human life has improved. Secondly, healthcare jobs have also improved. And lastly, the world economy has improved. There are fresh investments fuelling the private sector, so there has been an increasing medical innovation. The latest technologies are impacting the way businesses work and do. Automation of almost everything will be possible in no time. All the new business models are technology based. There are hardly any businesses that aren't using any mode of technology. Passive incomes are booming at a point where people are thinking more about more than one income. Cloud computing, marketing automation, cloud storage, hybrid cars and robots play a major role here. The reason being more profit in less time. In the competitive world, technology plays a vital role. Technology helps you to store your personal or business related data on clouds and access it anywhere and anytime. You don’t have to store your data in bulky hard drives, pen drives or DVDs. cloud computing is the delivery of computing services, like servers, storage, databases, networking, software, analytic and more over the internet. The companies that provide these services are called cloud providers and charge for cloud computing services based on usage, similar to how you are billed for water or electricity at home. Technology and youth go hand in hand in today's generation. The youth is totally dependent on the latest technologies for everything. From school to dating to sports. Are the technologies making children older? Kids nowadays learn things at an early age and make them matured and ready to compete at an international level. It is good that kids are learning early and thus will be ready to fight the worst. Social media plays a major role in their lives. They are being more vocal and opinionated. They have the opportunity to convey their feelings and thoughts on any topic be it political or education related. Youth patriotism is well known on the internet and at the same time, some of these people don’t care to save water, clean atmosphere and girl’s safety. In the past, if we needed to travel we had to make arrangements with help our agents. For travel guides and information, we had to go through books for a destination and lodging information. For a road trip, we used to have maps for the routes. For recording the trip we used to carry bulky disposable cameras and hefty video recorders. Gone are those days, now we have super fast travel sites that not only gives us the opportunity to know where to go, how to go and the best time to travel that specific place but also, helps us book flights, hotels, and day tours. We have GPS right at our fingertips that show us exactly if we are going in the right direction. Avail the best deals with makemytrip coupons and travel at the most affordable rates. A few decades ago eating out and dine in for a meal at a fancy restaurant was not a common place for most families. Home cooked meals were more often preferred. But now with the ease of gathering information about a food place, people learn a lot of things and can now choose from their favorite cuisine, meals depending upon their moods and choices. Shopping has emerged since last few decades to now. Most of the people prefer to sit and relax at home and shop for their favorite products online. It was virtually non-existent before a decade and now buying goods on the internet has become a billion dollar project. We buy books, CDs, clothes, electronics, etc for getting better discounts on the real price. With popular online shopping sites offering great discounts like Flipkart coupons, people will most definitely go for online shopping rather than the traditional way. Nowadays people even buy their groceries online with sites like bigbasket. When you’re considering products for sale on Amazon it almost goes without saying that you will be looking for the products you can sell successfully and with the highest possible levels of margin (profit) available. If you’re reading this article you are looking for inspiration and, more importantly, solid ideas around which you can build your successful business. In this article we shall be taking you through five great technology products that we think have the legs to take your business to the next step. As well as yielding potentially high profits these ideas for products that can also be relatively low in cost. When you’re running your own private label business this is the golden combination that you are looking for. When you’re hunting for great products you should remember to stick to the category that fits your product line and your brand. If you’re a successful seller of tech products you shouldn’t be thinking of diversifying into selling straws or ice cube trays. These days consumer trust and loyalty comes from you showing your expertise in your niche. You need to be thinking about products that will fit your existing product line and how they will continue to push your brand to dominate your chosen category. No, maybe they don’t immediately strike you as being one of the most glamorous of tech gadgets that you can have on your product list. However microphones do come with some irrefutable advantages. Think about it: everyone is using microphones these days in a variety of situations at work and at home. 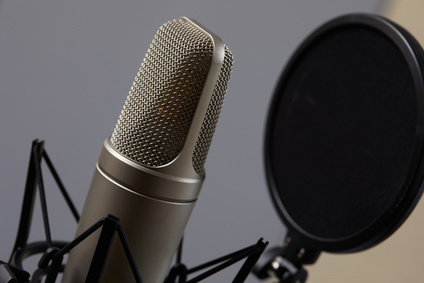 Podcasts are still going strong with many marketing executives ready to pay a blogger to sit behind the mic once a week and make a company look like the leading expert in their field. Vlogging, or video blogging, is no different. They all need microphones to sound professional. If you’re taking part in a video call for work on a regular basis you’ll want to be heard in crystal-clear sound. You had better get a quality microphone. With the rise of affordable audio editing software everyone wants to cut a demo of their band's best tunes for a record label… That’s right, they’ll need a microphone for each instrument. You may not consider this a “new” technology in this era of touch screens and voice controls. However, you would be surprised at the innovations still keeping this handy peripheral relevant. Of course not every person or every business can afford to replace their existing equipment. Upgrading to touch screen technology would also mean moving to the latest version of existing software or finding a suitable alternative. Far easier to stick with the trusty mouse and take advantage of the latest technology they house. There are different categories available to suit different users. For example, there are mice that are specifically designed for gamers. These contain technology that offer the user excellent accuracy. This type of technology is also used in mice that are created for users working in fields that require pinpoint accuracy - such as graphic design. Other categories pertain to efficiency and portability. Those who travel a lot on business regularly purchase travel mice that are smaller in size. Ergonomic mice are designed for prolonged use and offer the user greater comfort - these are especially popular among officer workers. These are becoming increasingly popular with music lovers from all age groups and musical tastes. You know how the technology works. 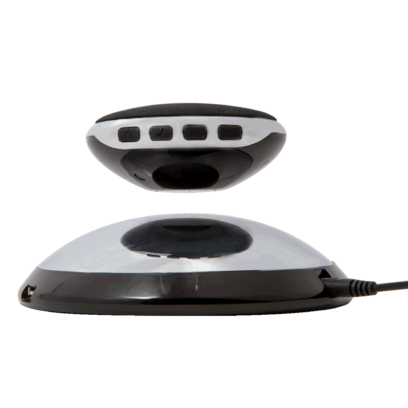 The user pairs their phone or MP3 player with the speaker wirelessly using the common bluetooth technology. The music is transmitted to the receiver, the speaker, in the form of data and this is transformed back into sound that is emitted via the speaker. Light and highly portable, these speakers are popular with anyone who likes to listen to music outdoors. In summer that’s… everyone, right? Most speakers allow users to plug their music playing devices directly into the speaker using a 3.5mm male/male audio cable. This would be a considerate add-on to offer customers. The speakers are usually powered by AA batteries or a mains adapter - these would be also be good add-ons for your customers. 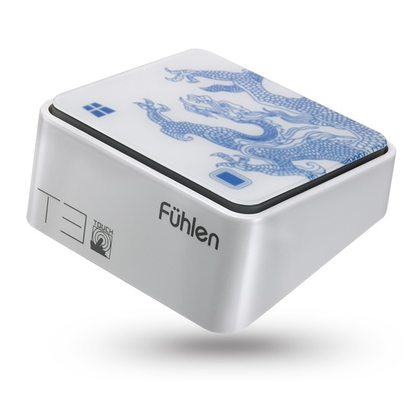 GPS trackers are a great way to quickly pin-point the location of items that regularly get lost, bicycles. They’re a great new technology idea that can be attached to so many items. Keys, pets, luggage. They’re easily charged and can be tracked using a dedicated app that can be downloaded to phones and tablets. They use the latest GPS technology contained within a small and light casing. These vary in style and build materials so you can offer customers a range of different options to suit their needs and styles. 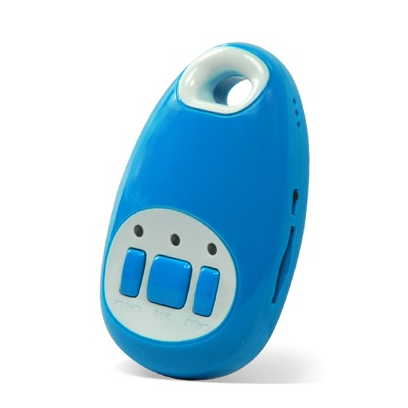 For example, if the user is looking for a tracker to attach to a dog’s collar they may want one that is water resistant so it won’t be affected by rain or mud. On the other hand if the user wants to attach it to luggage they might want something that will withstand heavy weight of other cases being loaded on top in the aircraft hold. Yes, solar power is becoming more and more ubiquitous with solar energy farms spreading around the world and panels popping up on roofs. Now technology users looking to keep their power-hungry phones, tablets and other devices, can rely on handy pocket-sized solar panels to charge their gadgets wherever they are. If you’re selling technology items this will fit right in with your product line. As an add-on don’t forget to suggest extra USB cables. Many of these chargers can charge more than one device at once. The chargers are easy to use and can function as a power bank storing enough power to charge a device several times before it will need to be recharged. If the user is at a place that is convenient for them to plug the charger into the mains they can quickly recharge it there. 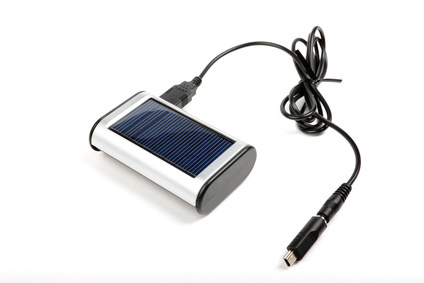 Alternatively they can use the solar power function to harness the power of the sun and recharge the bank and recharge their devices on the go. Sarah Kaiser is a digital marketing manager at Casino Global Sourcing, the sourcing division of a French retailer Groupe Casino. Godirek.com is the product catalog of Casino Global Sourcing, which offers helps and tips from product sourcing, cost saving to sales boosting for Amazon third party sellers . She’s a fan of water sports and has studied business management in France. Her works have been published on dozens of websites and blogs. Picture this: You love playing mobile slots for money. You are at your favorite casino and you've just made a wager on your luckiest slot. The wheels begin to spin. When they come to a halt, sadly, you see that and you didn’t win the jackpot. But, it's not over yet. An icon imploring you to click it for a prize appears out of thin air. You do as it obliges and suddenly the casino disappears. Hitting the icon has turned you into a character in a video game and you are being transported to a brand new world. You find that you have landed in the Old West. You are outside a saloon, armed with a gun in each hand. You are now a cowboy that has the chance win $1,000. All you have to do is shoot 6 bandits in one minute. What's your next move? Do you accept the challenge? As crazy as it may sound, you might actually be able to enjoy this type of gaming experience in the near future. Virtual reality will give developers the ability to take your favorite online casino titles and combine them with wearable technology and creative game programming in order to make them completely immersive. Sounds like science fiction, doesn't it? But, it’s actually much closer to being made a reality than you may think. Facebook has already spent millions to buy Oculus Rift (a VR headset manufacturer). This partnership is currently working on creating an experience that makes users feel as if they're being transported from one virtual experience to another. Furthermore, the VR technology available now has given people the ability to climb Mount Everest, visit undersea wrecks, and participate in horse races. And, what's more? New games and experiences are likely being created, even as you read this article. So, as you can see, humanity has begun to enter into a new age, one filled with virtual and digital wonders. Not surprisingly, casinos have been working hard to make the gambling experience more immersive as well. It is their hope that, in doing so, they will attract more millennials to their wares. In the meantime, both online and brick and mortar casinos are taking steps to make their traditional formats more appealing to this demographic. One of the ways this is being accomplished is by retooling games that already exist. For instance, if you’ve played slots in a land-based casino recently, no doubt you've witnessed bonus rounds and extra games on your favorite machines. These type of games lessen the hunger for VR technology. But, when they are available, it will certainly change things. The only issue (in the beginning) may be cost. But, this is par for the course with the majority of new technologies. Still, the gear is moderately light. To get started, all you’ll need is a VR headset, a joystick device, and maybe some biofeedback or wearable devices to make the experience even more real. Believe it or not, these types of devices are already on the market. We’ve already seen a few generations of wearable technology, like the Apple Watch, Google Glass, and the Fitbit. What’s more? Many wearable devices already have the ability to act as biofeedback tools. We've heard a lot about the term biofeedback. But, what is it really? It's defined as a technology that uses monitoring devices to get information about autonomic bodily function, ie blood pressure or heart rate. This info is used to help the person being monitored gain some type of control over these functions. But, developers have taken this technology to an entirely new level. For instance, there’s already a virtual reality game in existence that uses your fear to adjust gameplay. In other words, it senses your fear. When you look at what we can do with virtual reality now and interest that the gambling industry has shown in this technology, it's safe to say that the future of online casinos (like 7Sultans Online Casino) will be something to behold. What is your stance on that? Getting a new phone can be a great source of fun. Today's phones replace computers, music players and much more. It is amazing how much we rely on them for everyday life. That is why it is so important for us to do all we can to keep our phones going strong. Here are five steps that will help you to take care of your new smartphone. Keeping your phone's software updated will be a constant maintenance requirement, especially if you install a lot of apps. Be sure to prioritize the updating of your phone's operating system and anti-virus tools. Updating these systems helps to protect your data from unauthorized access. Whenever possible, set your phone to automatically install updates. You may even be able to time the updates for an hour of the day when you are rarely using your device, such as at 3:00 am while you are sleeping. Oils and dirt from your fingertips may cause your touchscreen to become unresponsive. Small particles can also scratch the screen. Use a slightly damp, soft microfiber cloth to clean the screen. Also make sure that the cloth is free of lint, fabric softeners and other residue. Clean your phone's screen about once per week for the best results. Allow your battery to run out before you charge it. Be sure to complete at least one full charge cycle per month. This involves charging the phone to 100 percent and then totally draining the battery. Avoid "topping off" your battery. This can damage the lithium and cause the battery to become unstable. A dependable charging station such as the products made by TYLT help to ensure that your smartphone gets a complete charge. Your phone has sensitive electronics that may become damaged by extreme heat. Leaving your new smartphone in your hot car while on a sunny summer day could lead to considerable problems with the device. Whenever possible, avoid leaving your phone in direct sunlight. If you can, take your phone with you instead of leaving it in a hot car. It is also a good idea to avoid leaving your phone next to other sources of heat, such as computers, air vents and microwaves. Purchase a protective case for your phone. Cases can be made of silicone, rubber or fabric. They include padding to protect against impacts from falls or objects falling onto the phone. You might even consider a water-resistant case that zips shut. Your new phone is a powerful tool. Make sure that you do all that you can to keep it safe and working well. That way you won’t have to worry about getting a new phone for quite a while. That is definitely something that can help save you a lot of money down the road.